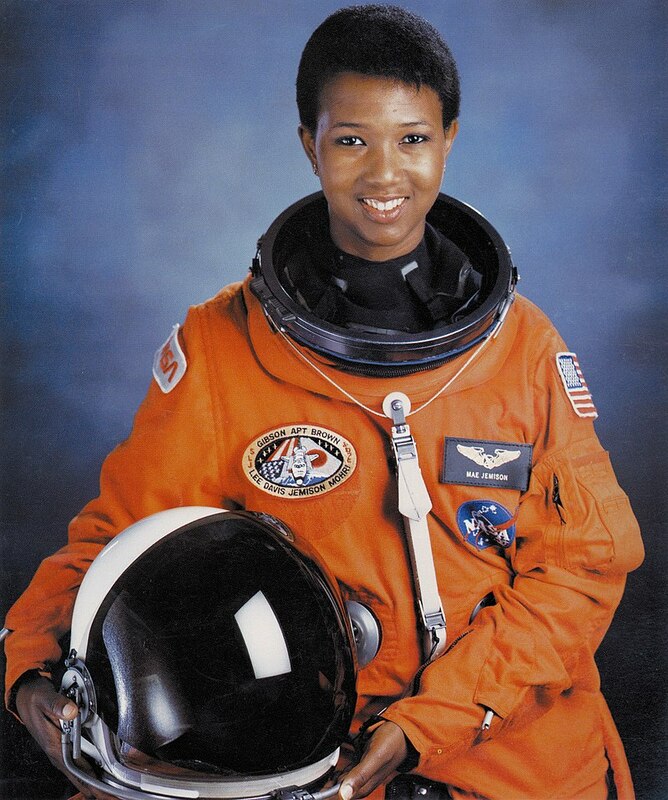 Mae Jemison is an American engineer, physician, and astronaut. She is known for going to space in May of 1992 in NASA’s Space Shuttle Endeavor. After her time with NASA, she went on to found two technology companies. Here is a little more about her incedible life. Jemison has always wanted to go to space. She recalls watching the Apollo Airing in 1969 while growing up in Chicago. It gave her a dream of traveling to space someday. She concluded that she would like to study and get hired by NASA “rather than waiting around in a cornfield, waiting for ET to pick me up or something.” She excelled in school, graduating early and going on to study Chemical engineering at Stanford University at the particularly young age of 16 years old. After getting her B.S degree, Jemison attended Cornell University to obtain a Masters Degree in medicine. During her studies, she traveled around the world in countries such as Thailand and Kenya to provide care for those living there. After graduation, she worked as a general practitioner in Los Angeles, before quitting and joining the Peace Corps. She worked for two years giving care to Peace Corps volunteers serving in Liberia and Sierra Leone. During her time there, she also worked with the Centre for Disease Control, researching and developing various vaccines. In 1983, Jemison moved on from the Peace Corps and applied to NASA’s astronaut program. After some delays due to the Challenger Space Shuttle Disaster, she only got a response in 1897. She and 14 others were picked from a group of 2000 candidates. She then worked with NASA, supporting various launches. In 1992, she flew for the first and only time to space, in a joint mission between Japan and America called STS-47. For 8 days, she performed different medical studies, such as observing the effects of zero gravity on growing tadpoles. 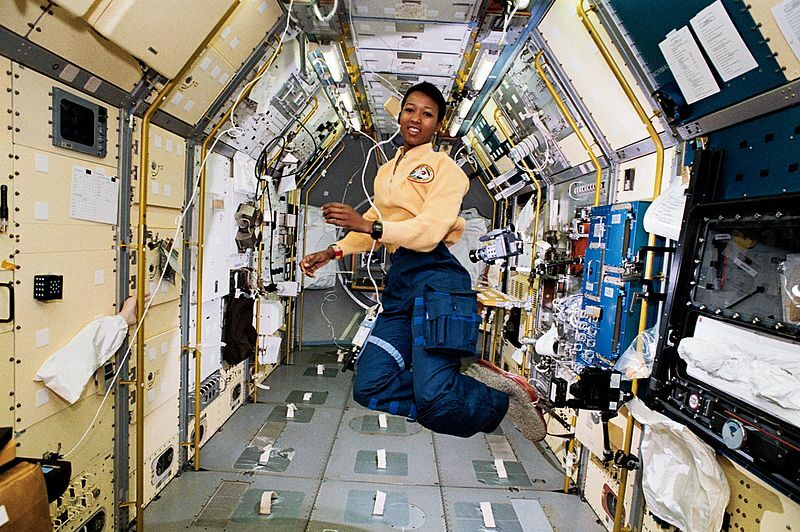 After her mission, Jemison left NASA and became a professor at Cornell University and Dartmouth College, teaching Environmental Studies. In 1993, she founded the Jemison Group, a company with the aim to research, develop, and market various technological products to be used in daily life. Later on, Jemison founded the Dorothy Jemison Foundation for Excellence, where she ran educational programs for teenagers around America. In 1999, she founded BioSentient Corp, where she ran studies on the human nervous system. As you can probably tell, Mae Jemison has had quite a remarkable career. In recent years, she has written a book series named the “True Book Series”. She often does public speaking, promoting science and technology. Even today, she inspires many young children around the world to continue studying in STEM fields. To finish things off, here is one of her many inspiring quotes.